Hot dog eating contests are now considered as American as apple pie. According to popular history, it all started back in the late 1860s with a German immigrant and Coney Island resident named Charles Feltman. At the time, everybodywas all about some Coney Island: it was a popular tourist destination, even though it was still a little rough around the edges. Feltman, growing a little tired of his career selling pies out of a wagon, decided to liven things up a bit and test a new market (plus save some money) by putting Frankfurters on a roll so he could avoid giving away plates and silverware. 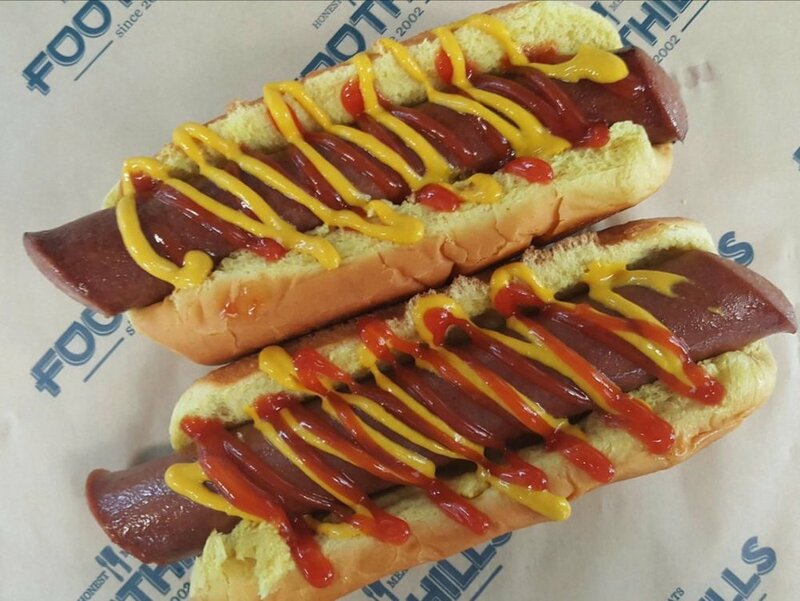 According to legend, Feltman sold nearly 4,000 of his frankfurters (later known as "hot dogs") that summer. Fast forward a few years. Now operating a small empire of attractions and shops, Feltman had it made. But one of his employees, Nathan Handwerker, decided to open his own hot dog stand. He sold hot dogs for a nickel while Feltman's were sold for a dime, and to make things even more competitive, Nathan was a talented marketer. In the summer of 1916 over Independence Day, Nathan grabbed the public's attention when he decided to hold a hot dog eating contest. The first contest was comprised of four men. They were given 12 minutes to eat as many hot dogs and buns as they could. To this day, the famous Nathan's Hot Dogs eating contest at Coney Island has remained the same with the same format. 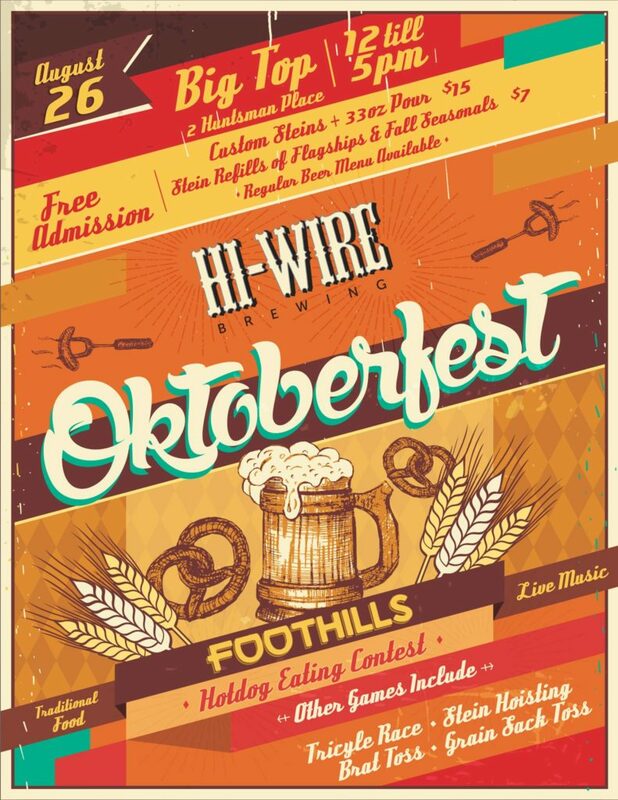 Join us for Hi-Wire's annual Oktoberfest party. Admission is free, while a custom stein and a 33oz pour is $15. Additional 33oz Flagship and Fall Seasonals fills including their GABF Gold Medal winning Zirkusfest Oktoberfest Lager will be $7. (Stein only will be $10). 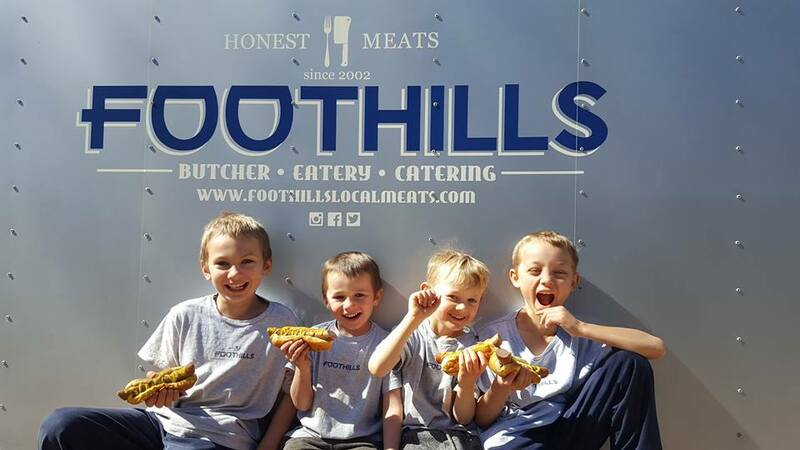 Hi-Wire will host a series of games throughout the party, including the legendary Foothills Local Meats Hotdog Eating Contest. Registration is open for the Hot Dog Eating Contest, so bring yourself, your appetite, and your hungry friends! How many hot dogs can you eat in five minutes?! Come test your luck at this year's Oktoberfest Celebration at Hi-Wire's Big Top Brewery! You could walk home with $200 (and a very full belly)!